Approach has been awarded a PR and social media brief by small-batch craft distillery, Durham Distillery. The Yorkshire agency secured the initial six-month contract after a four-way pitch between national and local agencies, and has started its media and social media activity immediately. 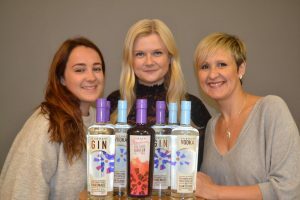 Founded in 2013, Durham Distillery produces Durham Gin, Durham Vodka and Durham Strawberry and Pink Pepper liqueur. Managing the entire distilling process in-house, the team of six produces just a couple of hundred bottles at a time to ensure maximum quality. Founder and owner Jon Chadwick said: “Approach, with their genuine passion and enthusiasm for the brand and industry, alongside their impressive PR portfolio, delivered creative and exciting ideas which we felt reflected our brand – both now, and what we want it to become." Approach also works with the likes of Airedale Chemical, United Carpets, Kirkgate Shopping and the Business Enterprise Fund.